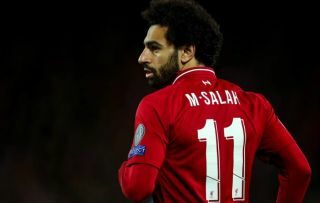 A video has emerged on social media which allegedly shows a group of Chelsea fans singing an abusive song about Mohamed Salah. As seen in the tweet below, the video has since gone viral as it’s believed to have been filmed by the small group of idiotic supporters in question in Prague ahead of their Europa League game on Thursday night. The ‘fans’ can be heard singing: “Salah is a bomber”, which as seen in the tweets below has led to a furious reaction from other Twitter users who blasted them for their disgraceful and inappropriate behaviour. Chelsea face their former star and Liverpool at Anfield on Sunday, but that as well as their game against Slavia Prague in midweek are seemingly now going to be overshadowed by talk about this video. Such abuse has no place in society let alone football, but it remains to be seen what action, if any, is taken, in what is just the latest racist incident in the sport which seems to be happening more regularly if anything. Tiny, tiny minorities of Chelsea fans travel to another country but when they should be enjoying that experience, they decide to spout racist slander? Its absolutely pathetic. It’s not just only a problem at Chelsea. It’s a problem in English football. It needs to stop. Simple. Chelsea ‘fans’ have been videoed singing a racial slur about Mohamed Salah being ‘a bomber’ today. He & many others have been subject to alarming abuse lately. Hard to support Chelsea when small minorities of their fan base continue to give their club a poor image. Makes the club look very bad.